There are two trails - one is just under a mile roundtrip, the other is just under 1.5 miles roundtrip. Dogs are not allowed due to watershed protection regulations. Bell Canyon is a scenic destination located on the east side of the valley above the community of Sandy. The Lower Bell Canyon Reservoir is a gorgeous spot that offers hikers a secluded place to explore with trails of varying lengths. The 220 acres surrounding the lower reservoir is a protected watershed area with a nature park that is owned by Sandy City. Both trailheads have spectacular views of the valley below. It’s most striking during autumn when deep orange, red and yellow leaves are interlaced with green pine trees. Hikers who get to the Lower Bell Canyon Reservoir can follow a loop around the reservoir or follow the forest service trail up Bell Canyon. If hikers proceed up the canyon they may see a waterfall or two. The formal trail diminishes at about 1.9 miles above the lower reservoir. The Upper Bell Canyon Reservoir on the north flank of Lone Peak Summit is 3.7 miles and 3800 vertical feet above the lower reservoir and beyond established trail access. Hikers need to be prepared for the conditions by wearing proper footwear, carrying plenty of water/hydration, snacks for nourishment and be aware of risks and surroundings. Be prepared for rapidly changing weather conditions—the mountain weather patterns can be extremely unpredictable. If you hike beyond the Lower Reservoir be careful of slick rock covered in moss and high water levels depending on what time of season you hike. You should not go beyond the Lower Reservoir if you are not an experienced hiker. As a final note, keep your eyes open for resident rattlesnakes on the trail. 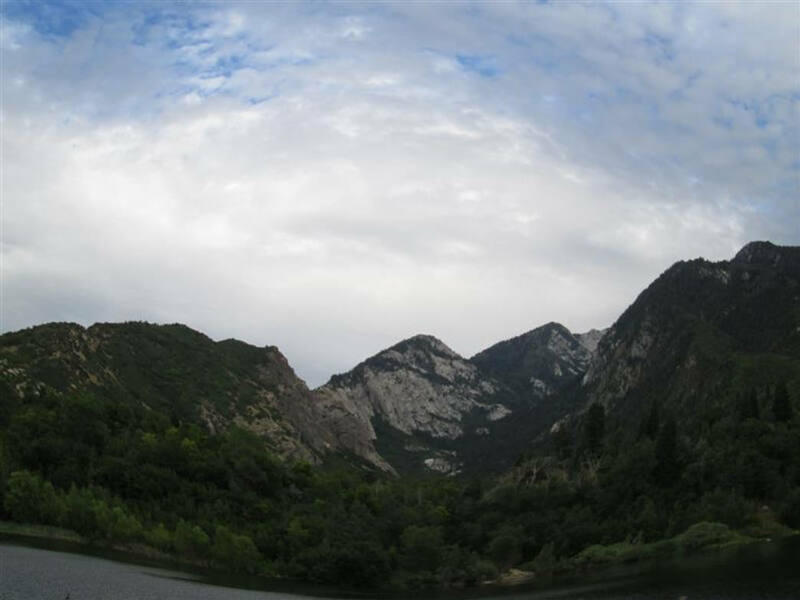 Because of the different options available, Bell Canyon is a great area for hikers of all ability levels. There are two trailheads providing access to the Bell Canyon area. 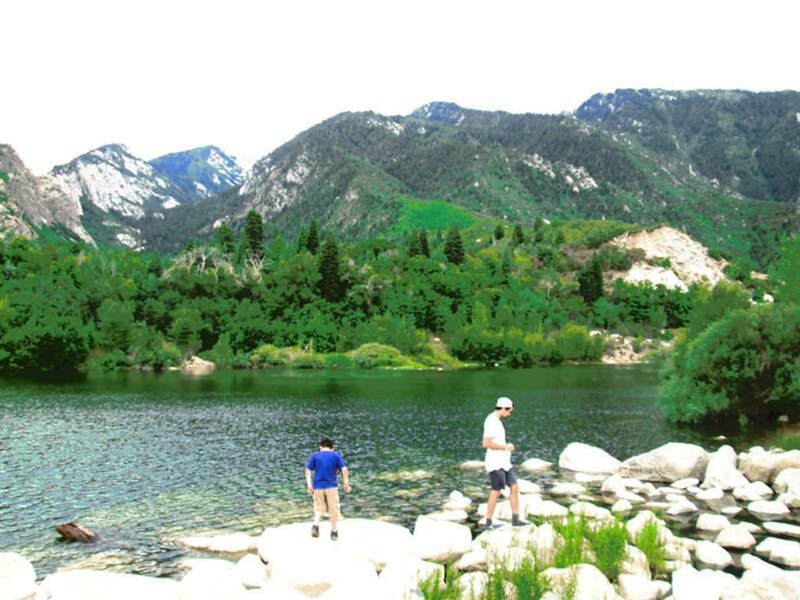 Both trailheads stem from the intersection of Wasatch Boulevard and Little Cottonwood Road. To get to this particular intersection from Sandy, head east on 9400 South as it turns into Little Cottonwood Road. The intersection with Wasatch Boulevard is approximately at 3400 East. 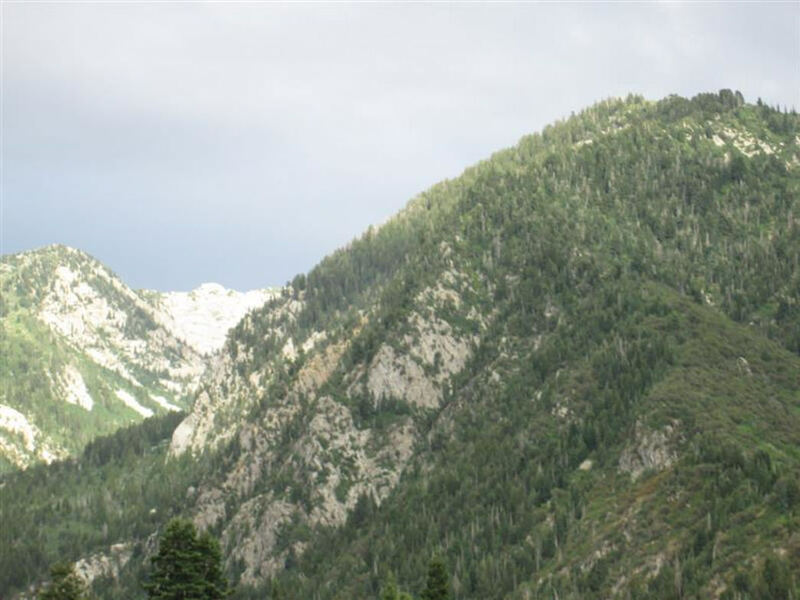 The Granite Trailhead is located just east of the intersection of Wasatch Boulevard and Little Cottonwood Road. There are 23 parking stalls and restrooms at this location. This trail is the longer of the two but it’s not as steep as the Boulders Trail. The Granite Trail is 0.71 miles long and has a vertical gain of 560 feet. 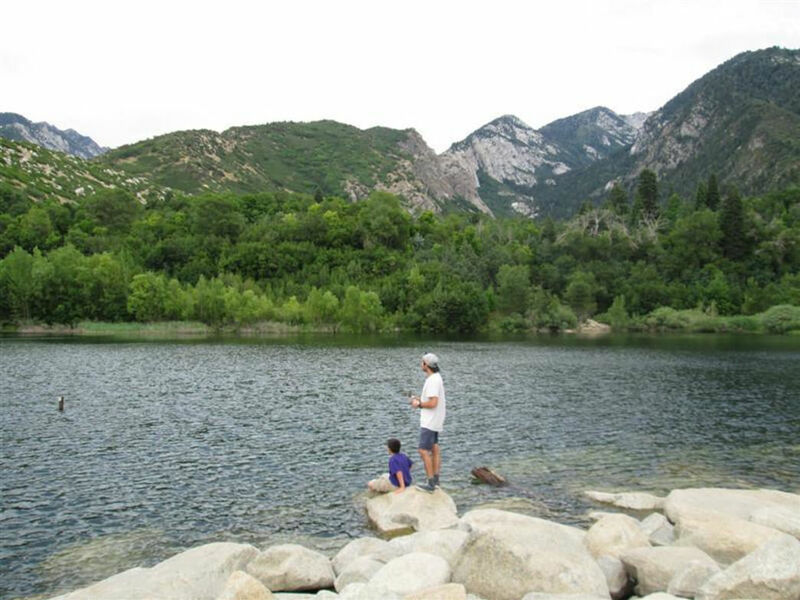 The Boulders Trailhead is located 0.6 miles south of the intersection of Wasatch Boulevard and Little Cottonwood Road. It’s on the east side of Wasatch Boulevard. This trailhead has about 20 parking stalls and no restrooms. The Boulders Trail is shorter and steeper than the Granite Trail at 0.5 miles long with a vertical gain of 578 feet. Parking may be limited during the early spring and on holidays, so please use the overflow parking. The Salt Lake County parking lot is just west of Wasatch Boulevard on the north side of Little Cottonwood Road.